This is a "FREE" special event held on March 8, 2008 from 9 am to 4 pm at the Howard County Art Center, 8510 High Ridge Road, Columbia, MD. Our host and instructor for the day is our past MPS President, Jack Pardue. Jack, is such a talented painter and we are fortunate to have him offer his time and instruction for this one day event. The classroom can only accommodate 16 members so sign up quickly to reserve your spot! Contact Special Events Coordinator, Lisa Mitchell or call 410-472-0001 and make your reservation today. 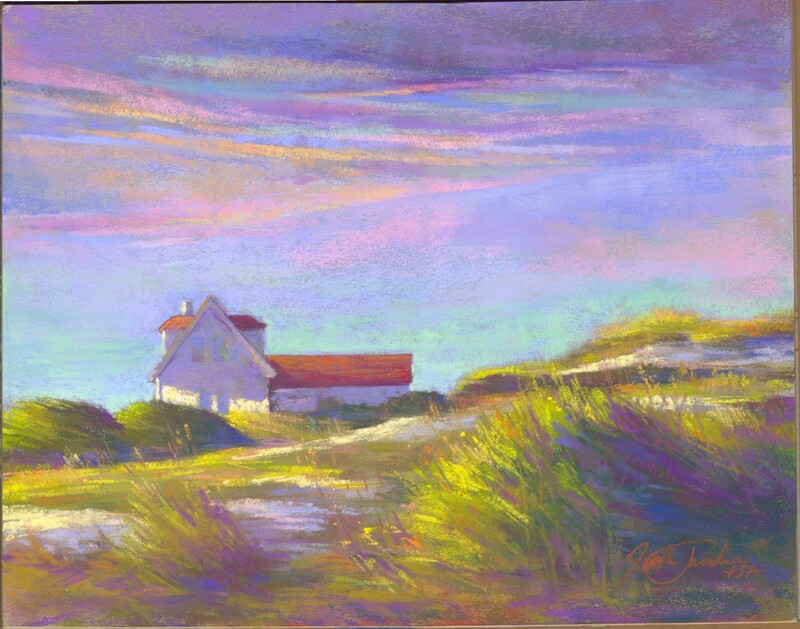 I think most of you know something about me, and you probably know that I teach plein air pastel workshops in different locations around the country. I have a great love of pastels and teaching what I know about them. I believe that we all should give back our talents to the society and that is why I offered my instruction free to the members of the Maryland Pastel Society. I'm also very pleased that Lisa Mitchell will be assisting me throughout the day. As you all know, she is the best! I want to thank the society for providing the studio space for this event. I will show you how to use your reference photos to create paintings. You notice that I said use, not misuse your photos. Photos can be a great source for painting in the studio, but can also become a hindrance to producing an expressive painting. We will discuss the dos and don'ts of those photos that we hold so dear to our hearts. I'll provide a short demo using a photo as reference and Ill share a few samples of what I have done with photos in the past. Please bring an ample selection of photographs so that you will have good choices to work from. I'll work with each of you at your easel throughout the day. I look forward to having a great day with those who sign up for this event. "Click here" and visit Jack's website to view his paintings and his 2008 workshop schedule!